Something to help against hero hogging is noticing Heroes hiding in their spawns, especially ranged heroes. When they even do come out and get attacked they run back to their safe space. We need to remove that for heroes. 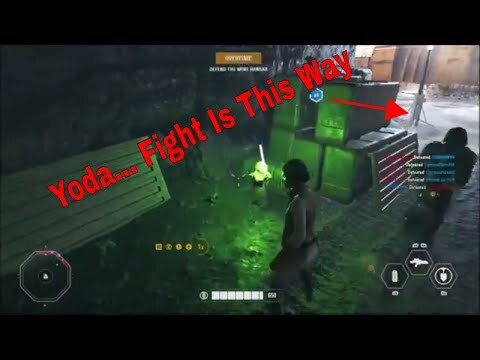 Make it so playing as a hero you need to be on the battlefront fighting, not hiding back. Change the Boundaries so that heroes can't stay in the out of bound areas for the opposing teams. Heroes can only be in the area both teams can go in Galactic Assault. By doing so, you prevent a lot more hero hogging and also indirectly make the heroes have to push the objective more. To hide back in your spawn where no one can get you is down right unfair for both the enemy team and your team because you are not contributing to the match so for anyone to even defend that I'd see it as an excuse to just not play and therefore shouldn't even be a hero. You are a hero, not a coward. You got to play as a hero for a reason, so contribute in helping take the objective. I also feel like this should also apply to special units like Aerial and Enforcers as well as land vehicles. We have limited number of them so they should be pressing the frontlines, not hiding away for no one else to use. This plus 2 of my other posts, changing the number of heroes per phase in GA and the DIB System. These 3 things not only improve the game but I feel would greatly help effectively lower the amount of people hero hogging as well as other classes, without punishing the players for being good at the game like adding pointless timers or kill count limits or other things that effectively don't allow new players to learn as well. With slightly more heroes per phase, give or take as described in the link, and people not waiting in queue for classes to become available, you have effectively improved the gameplay to have more players in game, more people countering each other, and more focus on objective rather then hiding. I guess we are all in agreement then? Hiding in spawn is a bad tactic. This is an issue with tanks in battlefield as well. ya exactly. this was initially the problem on Kashyyyk where the ATT could pre-aim at the ATT spawn and spawn kill the LAAT all the way in the back and no one could run back to get him so it was basically a broken spot. in patch 2.0 they made the the LAAT spawn in different locations so you can't pre-aim and also worth less points but the ATT can still shoot across the map with high damage and accuracy hit people all the way at the ramp to the Venator. Ya they really do need to make the classes you buy with BP, since there is a limit, have to play withing the objective area. I get that the starfighters need need more room so they are an exception but as for the heroes, special ground units, and vehicles need to have their play area within where the enemy can get to them. no Leia on the ramp of the Venator or in the base on Crait and shooting across the map. both apply to defense and offense. If they did this people wouldn't last as long as heroes were they can go "oh im low health, just got to run back to my spawn" lol nope no more of that. That's why i also mentioned it should affect the land vehicles and special units as well. Saw too many people going for "5 minute as aerial trooper" literally sitting in their spawn for 5 minutes just running around waiting for the milestone to complete and prevented anyone else from having a turn that would of actually used aerial class to help their team. I was one of those sitting with the aerial trooper on X1, but it was because it glitched and I couldn't move. A. If a Saber Hero is charging and your an aerial, chances are your going to die unless you pull back or jet head first into the wave of teammates behind the hero. B. If a Blaster Hero is hitting you from within the hangar of Hoth and your an enforcer, pulling back may be a better idea, as the cover in the hangars isn't the best, plus most people focus special units over troopers. C. If a Bomber is cutting your health in two on Kashyyyk and your a tank, you may need to stay back to kill it, trying to take one on near the front lines could prove disastrous as you will be under attack from multiple fronts. Heroes on the other hand have way more health and cost much more, so they absolutely should be on the front lines. na this guy could move. he was flying around and stuff. if you can't move, even if you shoot, the game kicks now for inactivity. but this guy was moving around and he knew what he was doing. i was so annoyed the whole naboo match i even messaged him like "really?" and he was like "I don't care about my team, i just want that challenge. i don't care if i don't help them. its all about me" this is why im such against the ability for players to hide in their safety spawn area, give them like 60 seconds to move to the play area and if they don't then they die. and if they do go out and go back in, it just goes back to a 10 second timer like they are out of bounds. kinda like how they make defense fall back with that 30-45 second but once you are out if you go back in it goes to 10 seconds. also hate anti-team based milestones where it is more rewarding not to help your team to get it quicker. you chose to be an enforce, you chose to use a limited supply unit so you need to use it. not hide, again, when things get difficult. There are a limited number of these so to hide and hold that unit all match and barely get kills with it is just not acceptable. go head in and kill that blaster hero. you have a blaster 2. play smart and you will win. seriously i killed darth maul and palpy, while their troopers stormed the control point, with a wookiee overcharged ability and im not even maxed out on the star cards. so if you can't even take down 1 hero then im afraid i have to say "git gud mate" those special units are cheap. you die, get more BP, buy another. i can on average afford to get 2 or 3 on an average game. on a good game i can buy up to 5 of them. so that is not a good argument. if heroes can't hide in their spawn, neither should you. C) Negative. if you get killed in an AAT you are scrub, that is it. no going back to your spawn point for safety. i literally took down 3 starfighters on Kashyyyk as an AAT and i had terrible cards back then, back during the duplicate cards not rewarding credits war of Nov2017 to March2018. Those were hard times for the small 5% and i still was able to take on bombers. if he has you pinned then he was clearly better. no free hide away for you. I have an entire gameplay of me wrecking the air units so no you can learn to adapt and evolve. so i dont see any of your 3 points as being valid. you have about 45-60 seconds to get to the forntlines, in GA matches thats a more then suffice time. if you go in to spawn afterward, its 10 seconds like as if you go out of bounds. if you die right away when you spawn due to enemies being close by, you get a refund anyways so there is not a legit reason to hide. go all out. Changing boundaries for heroes, to kick them out of their spawn points seems like a good idea. I'm all for it. Separately/musing; I am curious how it will effect matches where one team has another team pushed back to their spawn point. Could be cause for some interesting heroic moments. ya they will have to go all out. I was like that. my team was lacking and i rank in, even though Yoda and 2 wookies were dominating us at our spawn when in did a JIP match and i pushed their ****es out of our spawn. 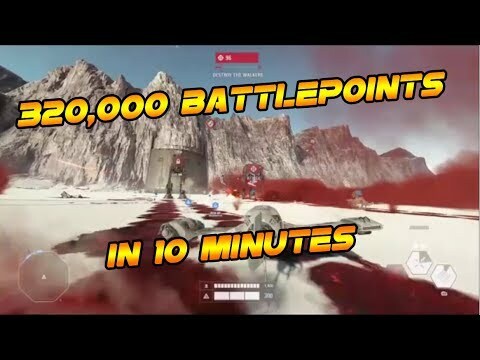 I got actually frustrated on Crait where I was literally 1 second away from Bossk, and I didn't want to be another hero so let someone else get the other hero. 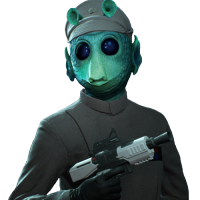 I watched the Bossk play to "lo and behold" he is sitting all the way in the back of the map doing charged shots at phase 1 and trying to hit people at even Phase 2 and got zero kills and finally, FINALLY moves up to phase 3 and gets wrekt by Yoda. So I had to wait 8 minutes for Bossk from a guy who just was a second faster at getting points in a JIP match i was in and all he got was 3 kills, didn't contribute and we ended up losing. And ya i got bossk right after he died and came in hot and heavy and blew up 1 of the 3 objectives and was almost finished with the 3rd. It's stuff like this why people hate hero hoggers. they contribute very little, he got like maybe 3 or 4 kills, and sat around doing almost nothing in our spawn. 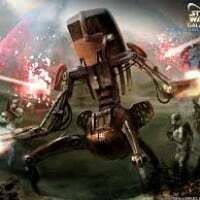 So ya we really need this system so hero hoggers are forced to the frontlines to fight so that they can fight and die and give other players a chance. limited classes should always be forced to the frontlines so there is no way to run and hide and it keeps the classes always open for the next so it's not something you can just survive forever hiding away and not giving anyone else a chance that can do better. So ya lets hope DICE changes the boundaries to for these classes to the objective area and no more spawn hiding or using their spawn as some sore of Diplomatic Immunity. So I'm a "scrub" for focusing a 1 hit kill bomber away from the front lines? what are you smoking? You are not focusing any bombers. no vehicle does that. not an AAT or an AT ST. you can literally do that while being on the front lines, not camped behind them where no one can get you. I have probably an 1hrs worth of footage of gameplay and it including me killing bombers, interceptors, and fighters as well as those LAATs and i could clearly do it from the front lines on Kashyyyk the boundary area is huge so idk what you are smoking. you don't need to site at the beachhead when the fight is at the juggernaut tanks. you aren't contributing anything over there but just spamming in there air hitting nothing . the amount of kills you'd be getting would be fair less anyways that what ud get from being on the frontlines so you are actually not helping your team. you are trying to justify sitting back to get 1 or 2 bomber kills a match vs being on the frontlines and playing a supporting role to push the objective and keep the land forces of the enemy away. so actually put that all together, that would mean they are a bad player because most bomber are going to be targeting you anyways from a high vertical attack you won't see coming or are fighting they are in the air with other fighters. so you only get at best 3 bomber kills so you aren't contributing anything to your team and trying to justify you need to be in the spawn area to do it when you can do the same within the area both sides can go. and as for why i was far back on that one, literally was to explain in the exploit in the video i did earlier of how it takes literally no skill to spawn kill the LAAT which now they fixed because of that as the LAAT has random location spawn because people where literally sitting back with an AAT, spawn killing any LAAT coming in in 5 seconds and racking up enough points to play hero 3 or 4 times and weren't going to the frontlines to contribute. i literally did that as a video already so that was already explained long ago. and you can sit back for a short while. you got a good solid 60 seconds to move up at spawn and 10 seconds if you go back out afterwards. that more than needed. I'm talking about being near the MTTs during the second phase...... and i still disagree about the bombers, if your team doesn't care about air support, then you have to take it into your own hands to kill them IF they are going for you. I am saying this from a fair gameplay balance point of view. I'm just trying to debate my point. You know that you can do just as effectively moving past the spawn area right? Bombers are slow and make them as easy to track with as LAATs, regardless of where you are. so i don't see why you need to hide in the spawn, a place no enemy can get you, just to get a 2 bomber kills at best. While hiding back to be safe everyone with reinforcements does and it is called hogging. you don't see starfighters getting to run back to their spawn and hide when they take too much damage. the playing field is completely open for enemy starfighters to attack them so they can't run away and hide out of range. That's why hero ships are cheaper because you can't hide, and also newer players crash more. And because of that, only the better pilots last longer and they deserve to stay in it longer. And I can't see how you can die in an AAT, that thing has 1000 HP, plus what ever cards you use on it like fast repair. I have had people try the nose dive bomb maneuver and always fail because i move around. So the only way to get you is if you didn't move. And even if they do, if you are a good player, you should of racked up a lot of BP by then. There is not enough time in a bomber to go to max altitude, do a 180, come straight down, fire bombs and going slow as possible and blast you before getting too close and crashing into you. I found it's super easy, no matter where you are to take out the bomber. linked fire takes them out in like 3 direct hits. So I don't see how hiding away with a limited resource that is designed to help your team out and yet you have to hide in an area that no one can get you other than starfighters. Players that can survive out in the front longer taking out bombers, take out troopers on the ground and survive a long time, great. But hiding back in the spawn area is a cheap and unfair and not helpful as you can contribute much more being closer to the action. You get less kills when you further back and you are not contributing as much in taking the objective because while you are hiding behind the MTTs the clones are still running up the back side stairway to the Juggernaut Tanks with no resistance. So you might be taking out a single bomber but just let 5 clones reinforcements right on in that time. They even nerfed the blast radius of starfighters so its already harder to get ground kills. 1 or 2 teammates might possibly die but you fend of 10+ clones from being able to move down the ramp. 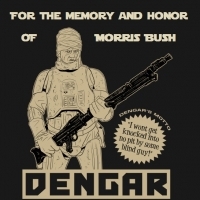 I seen it as a Leia player on the venator ramp. You guys could of pushed up and forced me back and it would of helped get your troops to the front lines but you hid the second you take some damage and behind the MTTs and we end up winning because your AATs couldn't stop the flow of teammates because AATs were holding on their tanks like it was their precious so much hiding in the spawn area and not willing to take any risk that they lost the match. When I play as bossk on an attacking team, such as phase 2 of kashyyyk I push that objective. I don't blindly run in. I just pick them off 1 by one as much as possible getting close to the tanks and gas them, use explosive shot grenade rounds, and trap the entrances with mines to make reinforcements too afraid to move up. A few times as a hero or even a tank, i push that objective and it really does help the team a lot. Once they start to feel their will breaking, you penetrate in with full force. Like soldiers breaching a gate. Just flood in and overwhelm after the build up of your men piling up while there gut cut of one by one until eventually they know it is inevitable and it's like they almost give in as they break formation and leave their defensive areas and scatter like vermin. Yes sometimes you mess up and you die, but by then, especially for tanks of all things, you should of ranked up a lot of BP. Heroes have their BPs reduced to 10% but tanks get no reduction so if you did well you can literally buy another after you die. Think about that, you have the possibility to buy another tank right after you die. You have to be crazy good to do that as a hero. imagine if that were a thing? get no reduction in BP as a hero you could survive forever. So you have all the advantage in your favor. If you don't move up, we should just move the boundary area so that we can go further into your area so that way we can get you. 1 way or another we need to be able to attack you, just like you can attack us. a one way fight is not even. if CIS bombers can attack close on their way off the ramp and attack AT RTs then i don't see what AATs should get special immunity to be off limits. ATRTs usually have almost no where to go in the phase, anyone can touch them, heroes, special units, regular troops, but AAT the other way around can't. I don't see that as fair play. That's like Leia SWBF1 having a bubble shield in which she could shoot out of but no one can shoot back if you catch my drift here. Either way, where ever you go, we need to be able to come up to you and attack you with rockets the same way ATRTs can. The sides of the MTTs are too big that hitting you is extremely hard and by the time at least 1 person can hit you, you will have regen your health. if we can't literally walk up to you and shoot you with the same ease as an AT RT then that's not a balanced gameplay right there. 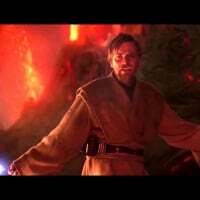 You can claim using DC15 ES pre-patch to push objectives is smart, you can claim using palpy's lightning through the walls to push up is smart, but at the end you know deep down it's not actually a fair fight. Just like how I agree some hero abilities still need to get nerfed, like leia on crate is like pre-patch boba in swbf1 where I could shoot rockets across the map on Hoth Walker Assault and hit people a mile away. I agree with people that needs to change for the balance of the game. 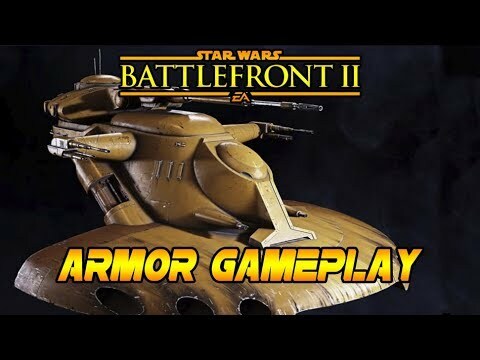 For an artillery tank that has the accuracy of a sniper rifle and the firepower of a thermal imploder with blast radius for each shot, with the health of Darth Vader, I don't see how it should be allowed to hide back in it's spawn location where it is out of bounds for the enemy team. Let me show you how strong the tank is that you can in fact do beyond well in a AAT. And this is during the time with the issue where some players, like myself, where not getting credits from duplicate cards in crates so I was severely behind and my cards at best were common cards if i had any cards and look AAT the beginning how much I push the objective. 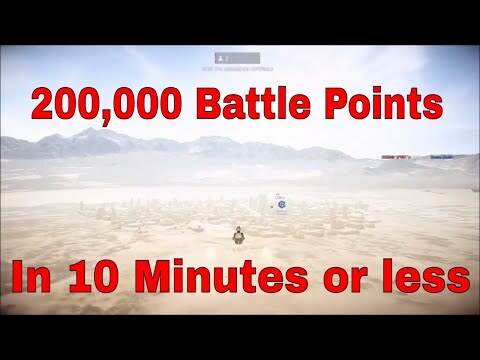 So I see a 60 second initial spawn timer possibly being made but they do have to make the spawn points closer to the objective for vehicles like the AAT to get up there and not get held back. This would just anger many more people than it satisfies, IF you couldn't fall back at all, if you allow some breathing room, im okay with it. If they move up to the middle of the playable area, they have plenty of room to try and fall back if needed. If someone gets caught out in the open with a hero or reinforcement with no cover around, that is their own fault. If you just sit on the back line, you pretty much deserve it. "when all of a sudden they get hit by a bomber they didn't see and they're on half health" then that's on them. I get caught by rey players going invisi on the radar and spearing behind me but you know what. i don't make that excuse to be able to hide in my spawn area to hang on to limited classes longer. that is the whole issue. if you survive longer while being in the objective area, then you earned it. but those AAT have a **** ton of health and if you somehow i mean god forbid get killed at the very beginning, you get almost a full refund in BP. there are star cards you can regen health for almost all heroes. tanks don't need it because they can already do full recoveries. There is tons of breathing room in the playable areas that both the attackers and defenders can go. they can even take the AATs to the side of the TT tanks because the playing area is just that big. that literally didn't address the points. the problem is the 2, 2, 4 issues and the fact too many people doing stuff like getting officers to rush BP for hero and then once they get it the literally never press the objective and usually hang out in their spawn or close to their spawn doing this. As a player that actually plays the objective as a hero, this is super annoying. This just shows that Heroes are not okay. And simple tweaks like heroes not able to hide in the out of bounds spawn safety net area where no one can get them or special units etc, like playing 5 min of aerial trooper and players just hide in the spawn for 5 min to get the challenge and then the next person does it. So change it so no limited classes can just hangout all day in the out of bounds team spawn zone area. that we get hero count changes from 2, 2, 4 to 2, 3, 4 and also add a DIB system and you greatly improved the experienced. there is a problem with hero hoggers and if that video wasn't enough to convince you, than nothing will.